Traders tend to love volatile markets - the up and down movements create opportunities. But such was not the case for the Performance Coaches today, who lost just under $100 total after three trades. The Performance Coaches jumped into a long S&P 500 early in the morning, looking for support ahead of the Weekly Kickoff low at 2575. But, they jumped in a little too early and put their stop a little too close - causing them to get stopped out of a long they initiated at 2579.25 for a 4.5 point loss. As prices stabilized, they reinitiated that trade, buying back at 2575.75 - riding that to 2580.75 for $250 in gains. That gave the Coaches roughly $20 in profits on the day. So You Broke a Rule. Now What? We all make mistakes - some more painful than others. But if you've just broke one of TopstepTrader's rules (or even your own rules), you may be feeling a bit down. Don't. Nearly every billionaire hedge fund manager has blown up a trading account. Trading isn't an innate skill you're born with. It's something you develop with practice. At TopstepTrader, we get it. 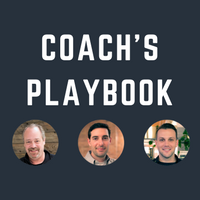 That's why we tackled how to handle breaking a rule in our latest episode of Coach's Playbook. Check it out and leave any feedback in the comments. The Performance Coaches gave back yesterday's gains and some today, dropping $314.72 to the market as Crude Oil fooled them with a range-bound day. In hindsight, after yesterday's move, it probably shouldn't have surprised them. The Coaches entered a good trade off of the opening range, selling Crude short at $57.23, but they closed that out for a couple cent loss when the move lower was rejected. They then bought Crude at $57.04 before getting stopped out at $56.90 and selling it one cent lower... at the daily low, proving you can't always have the foresight to sell the high and buy the low. Crude Oil ($CLZ7) is on fire. The commodity has rallied more than $7 in a month. There are times, like today, when you don't want to step in front of it. That is, unless you have previously identified important areas of resistance and keep your stops tight. That's what the Performance Coaches did. Each week, Senior Performance Coach John Hoagland identifies levels in the Weekly Kickoff that could spur long-term players into the market - either as resistance levels or levels of support. In yesterday's email, he identified $57.60 as the Weekly Kickoff High. Today, a short of Crude at $57.60 was a penny off the high and netted the Coaches a profit of $440. When combined with an earlier losing position, the Coaches added a total of $262.64 - bringing their total balance to $50,997.41. Here's a look closer at that timely trade. The Performance Coaches certainly had a strong bias for the day. They expected that Crude Oil ($CLZ7) would face an inflection point, supported by demand at $54.50. That view ultimately was correct - but the Coaches faced a lot of pain along the way. In the end, they added $85, but they can't help but feel like they left money on the table (particularly since Crude moved $0.80 higher after they captured profits). That brings the Coaches balance to $50,734.77 - giving them gains of $133.34 this week. That's not their best week thus far, but after coming more than $2,000 off their lows in the last few weeks, a slow and steady week is what the doctor ordered. Want to check out their trades? The Performance Coaches were patient today, staying away from trading in the morning when the market was wandering listlessly. As Crude Oil ($CLZ7) moved towards its floor close, it started to look like it might rally. The price broke back above $54.50, causing the Coaches to buy at $54.55. They were looking for a continuation, so had a close, 10-cent stop. Ultimately, that stop was hit, and the Coaches lost $103.68 on the trade. That brings the Coaches balance to $50,649.49. They're trailing max drawdown is at $48,889, while their profit target is still at $53,000 - or $2,350.51 away. The Performance Coaches gained $198.96 today affter going long Crude Oil ($CLZ7) on three separate trades. Though Crude closed lower on the day, the Coaches kept initiating longs based on the two-month-long trend that saw Crude gain from $47 to a high of $55.20 today. That $8 move has only accelerated in recent days - causing the Coaches to look for opportunities to primarily buy any dips. Here's how the Coaches trading worked out today. The Performance Coaches reentered the markets today with four trades - going short the S&P 500 ($ESZ7) twice and short Crude Oil ($CLZ7) twice. On their first attempts, both trades were stopped out for losers, before making back much of the money on the second go around. Overall, the Coaches gave back $47.22 to the market today. Their current balance is $50,544.21. Here's what you can learn from the Coaches' trading today. 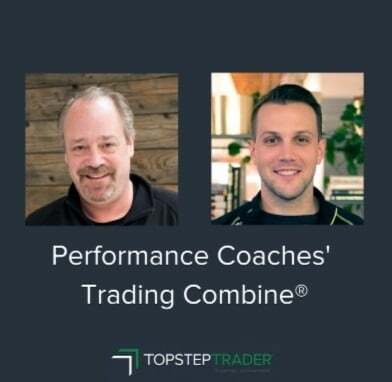 The Performance Coaches continued to build on last week's gains, putting together a streak of seven consecutive days of winners in their Trading Combine® challenge. Their account is now at $50,601.43. Since initially experiencing a drawdown, the Coaches have since gained $2,000 - putting them in a good position to reach their profit target. Here's the Coaches talking about their journey thus far - and why they decided to take today off. Check it out!